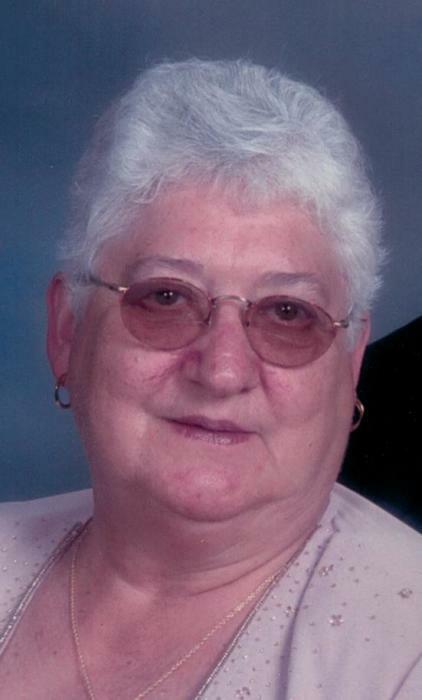 Janet Louise Cohrs age 78, of Napoleon, died Wednesday evening, November 28, 2018 at St. Luke’s Hospital, Maumee. Her Legacy… She was born September 19, 1940 to Otto and Laurina (Dehnbostel) Behnfeldt. In 1958 she graduated from Ridgeville High School. On October 1, 1960, she married Victor W. Cohrs in St. John Lutheran Church, Freedom Township. Janet was a homemaker and a member of Hope Lutheran Church, Hamler. Her Family… She is survived by her children: James Cohrs, Napoleon, Terry (Jean) Cohrs, Napoleon and Lori (Rob) Olds, Continental; 5 grandchildren: Sara, Ryan, Samantha, Derek, and Paige, 4 great grandchildren and siblings: Roger (Mary) Behnfeldt, Wauseon, Lester (Diane) Behnfeldt, Napoleon, Wayne Behnfeldt, Holgate, Delores Houser, Napoleon Alice Knepley, Napoleon, Judy (Terry) Miller, Cecil, Karen Sonnenberg, Napoleon, and Mary Jane (Dan) Gilliland, Napoleon. She was preceded in death by her husband Victor on July 23, 2015, and sisters, Lucille Gobrogge and Margaret Behnfeldt. Her Farewell Services… Friends will be received in the Zachrich Funeral Home, 114 William Street, Holgate on Friday, November 30, 2018 from 4-8:00 pm and one hour before the church service. The Celebration of Janet’s Life will be on Saturday at 11:00 am in Hope Lutheran Church, Hamler with Reverend Keith Hunsinger officiating. Burial will follow in the church cemetery. Memorial contributions made in Janet’s name can be made to Hope Lutheran Church or a charity of your choice.